Congress spokesperson Gaurav Gogoi said that the BJP and the RSS were "unmasked" by Hegde's remarks. 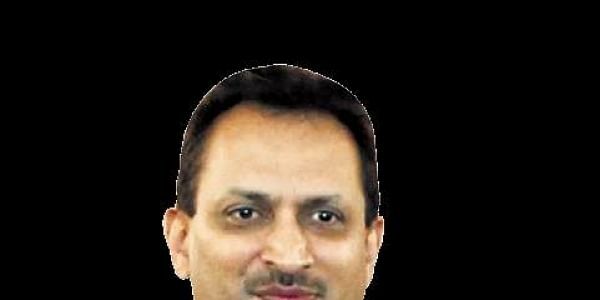 NEW DELHI: The Congress today attacked the BJP over Union minister Ananth Kumar Hegde's remarks about changing the Constitution, saying they were a "direct assault" on the composite identity of the nation and the party will oppose any such attempt with all its might. Congress spokesperson Gaurav Gogoi said that the BJP and the RSS were "unmasked" by Hegde's remarks and alleged that "abusing the oath of office and denigrating the Constitution and its values have become a distinctive feature of Modi government". Hegde, while speaking at an event in Karnataka, had said he respects the Constitution but "it will be changed in the days to come". Condemning Hegde's comments, Gogoi asked if the prime minister would break his silence on Hegde's remarks as the minister had openly spoken about changing the Constitution. Hegde's remarks are a "direct assault" on the composite, diverse and secular identity of the nation, Gogoi said. He alleged that the BJP-RSS school of thought is ingrained in "bigotry, hate, divisiveness and prejudices, that envision a monolithic culture". Gogoi told reporters here that Hegde's remarks were diametrically opposite to the liberal and inclusive traditions of India and the progressive thoughts of Babasaheb Ambedkar and the makers of modern India. "The Congress strongly condemns and deprecates such regressive remarks which are against the idea and ideals of India. We shall fight this challenge in Parliament and in the court of people," he said. Gogoi alleged that all such statements have a common link and agenda and were meant to propagate and practice sectarian ideology of the BJP and the RSS. He claimed that the RSS and the BJP's sole agenda was to change and modify the basic nature and structure of the Constitution and "impose their hate filled, bigoted and prejudiced ideology" on India and its people. "Recent statements by Union ministers in the Modi government thoroughly vindicates those malicious and sinister attempts," Gogoi alleged. "Their remarks have not only denigrated and demolished the values, principles and the soul of the Constitution but has also exposed their 'false love' for Babasaheb Ambedkar which they keep propagating to win votes," he said. The Congress leader, with another spokesperson Khushboo Sundar by his side, said the Constitution rests on pillars of equality, liberty, fraternity, brotherhood and secularism. Socialistic values are the Magna Carta of India's Constitution, he said. "Any maleficence attempt to modify this by the BJP- RSS will be fought by the Congress Party with all its might," he said. Gogoi claimed that Hegde, like other BJP leaders, was suffering from the "foot in the mouth" disease. The Congress spokesperson also highlighted that another Union minister Hans Raj Ahir had made a statement equating senior doctors in a government hospital with Naxals. This, he said, was an outright insult to the medical profession and those who save lives. "It again goes against the spirit of the Constitution and its ideals," Gogoi said. The Congress leader claimed that in the past as well the BJP and its leaders, including the prime minister, have "systematically insulted" professionals and communities. Gogoi also highlighted that Bachubhai Khapad was sworn-in as a minister of state in Gujarat despite having three criminal cases against him, including under the Arms Act. "Will Shri Modi take cognisance of this fact and drop him from the Gujarat Government's Cabinet? Is it not yet again an instance, where the BJP is violating the 'oath of office' and denigrating Constitution?," he asked.